INDUSTRY.co.id - Jakarta - Ministry of PUPR initiative to accelerate Cooperation Agreement (PKO) with 40 partner banks on December 21, 2017 ago. 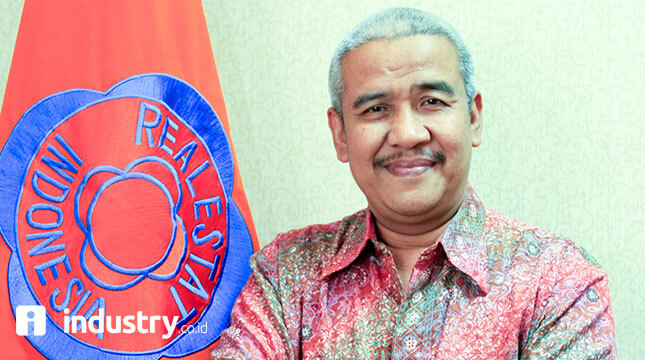 This is also a boost to the supply of subsidized houses by the Indonesian Real Estate Companies Association (REI) because the credit agreement process can be done in January 2018. The focus point of people's housing development by REI will still be prioritized on four target markets: civil servants, military / police, workers in industrial areas, and informal sector. "I think the program of PSR (Program Million Houses) is very good, so we have to support it, it shows that developers still have the ideal and equal opportunity to help the country according to our competence of building a house REI must do much through this program," said Chairman of DPP REI, Soelaeman Soemawinata in Jakarta, Wednesday (31/1/2018). REI hopes to support the PSR at once can be a trigger (trigger) for business members in the region. Because the majority of REI members are developers of subsidized houses spread across Indonesia. "The more developers in the moving regions, the more jobs in open areas, in line with President Jokowi's desire to encourage equitable development across the country," he said. In the future, continued Soelaeman, REI continues to commit to maintaining and improving the quality of subsidized homes built by its members as directed by the government.